The principle objective of this report is to analysis Foreign Exchange Business of NCC Bank Limited. General objectives of this reports are to gain practical exposures in different banking activities, this will be help for MBA Program, to familiar with the working environment in bank, to apply theoretical knowledge in the practical field, observe and analyze the performance of the specific branch. Finally acquainted with day to day functioning of service oriented banking business and to study existing bankers customers relationship. Economy of Bangladesh is in the group of world’s most underdeveloped economics. One of the reasons may be its underdeveloped banking system. Modern banking system plays a vital role for a nation’s economic development. Over the last few years the banking world has been undergoing a lot of changes due to deregulation, technological innovations, globalization etc. These changes also made revolutionary changes of a country’s economy. Present world is changing rapidly to face the challenge of competitive free market economy. It is well recognized that there is an urgent need for better-qualified management and better-trained staff in the dynamic global financial market. Bangladesh is no excepting of this trend. Banking sector in Bangladesh is facing challenges from different angles though its prospect is bright in the future. Money and banking is the center around which all-economic science clusters. To gain practical exposures in different banking activities, this will be help for MBA Program. To familiar with the working environment in bank. To observe and analyze the performance of the specific branch. To be acquainted with day to day functioning of service oriented banking business. To learn about Foreign Exchange Business. To learn about loan and advance. To learn about general banking. To know about the function of administration. Foreign Exchange Business of NCC Bank Ltd.
Foreign Exchange means foreign currency and includes all deposits, credits and Balance Payable in Foreign Currency as well as in foreign currency instruments such as drafts, T.C.S, Bills of Exchange, Promissory notes and Letter of Credit payable in any foreign currency. Foreign Exchange is mainly earned through export of goods and services by the residents of our country to the countries outside Bangladesh. Foreign exchange may also be acquired out of aids, grants and credits received by us from foreign countries. Remittances of the Bangladesh Nationals working abroad (wage earns) are also an important source of foreign exchange for Bangladesh. Foreign exchange is acquired for settlement of international payments in connection with import of goods into the country as well as for meeting payments covering freight charges, insurance banking, debt servicing, travel and educational expenses etc. The letter of credit is an undertaking issued by a bank for the account of the buyer (the applicant) or for its own account to pay the beneficiary the value of the Draft and/ or documents provided that the terms and conditions of the Documentary credit are complied with. As per import and Export Control Act 1950 no person can indent, import or export any goods in Bangladesh except incase of exemption issued by the government of the peoples republic of Bangladesh. So for doing import business at first every importer should obtain Import Registration Certificate (ICR). Certificate of Registration with the Register of joint Co. and Articles & Memorandum of Association in case of Limited Company. The nominated of the applicant will examine the paper/ document and verify the signature of the applicant and forward the same to the concerned office of the ICC and E with a forwarding schedule in duplicate through bank representative. The duplicate copy of the same bearing the acknowledgement of CCI and E office of the receipt of the document is received by the bank and is preserved. A letter of credit is a letter that is issued by a bank (issuing bank) at the request of its clients addressed to a person (beneficiary) undertaking that the bills drawn by the beneficiary will be duly honored by the issuing bank providing certain condition mentioned in the letter. A clause authorizes the beneficiary to drawn bill of exchange up to a certain on the opener. List of shipping documents, which are to accompany the bill. An undertaking by the issuing bank that bill drawn in accordance with the conditions will be duly honored. Instructions to the negotiating bank for obtaining reimbursement of payment under the credit. A credit officer scrutinizes this application and accordingly prepares a proposal and forwards it to the Head Office Credit Committee. The committee, if satisfied, sanctions the limit and returns back to the branch. In this manner the importer is entitled for the limit. S. code number of the goods to be imported. Proforma Invoice, which give description of the goods including quantity, unit price etc. The insurance cover note, issuing company & the insurance number. The terms & conditions of the L/C must be complied with Exchange control & Import Trade Regulation. Officers examine whether the goods to be imported are legal. Survey report or certificate in case of old machinery. Good & carrying vessel from all the countries in the world except Israel. Certificate declaring that the item is in operation not more than five years in case of vehicles. To see whether the application is signed by the importer. Insurance cover note with date of shipment. Whether IRC updated or not. Whether IMP from dully signed or not. VAT (15% of commission) on L/C———————————– Cr. FCC (Foreign Correspondent Charge) A/C————————- Cr. Customer liability against L/C————————————— Dr.
Bankers Liability Against L/C————————————— Cr. Parties involved in a L/C, particularly the exporter & cannot always satisfy the terms & conditions in full as expected due to some unexpected reason. In such a situation, the credit should be amended. NCCBL transmits the amendment by tested telex to the advising bank. In case of revocable credit, it can be amended or cancelled by the issuing bank at any moment & without prior notice to the beneficiary. But in case of irrevocable L/C, it can neither be amended nor cancelled without the agreement of the issuing bank, the advising bank & the beneficiary. If the L/C is amended, service & telex charge is debited from the party account. Respective officials check whether these document have any discrepancy or not. Here “Discrepancy” means the dissimilarity of any of the documents with the terms and conditions of L/C. in case of discrepant documents; the branch advises the discrepancy/ discrepancies to the negotiating bank within seven (07) working days after receiving the documents. Sundry deposit L/C margin A/C———————————————– Dr.
After realizing the telex charge, service, interest (if any), the shipping document is then stamped with PAD no. & entered in the PAD register. After repairing the necessary vouchers, endorsement is made on the bank of the B/E as Received Payment & the B/L is endorsed as please delivery to the order of M/S——— under two authorized signatures of NCCBL’s officers (P.A. holders). Then the documents are given to the Importer. Usually payment is made within seven days after the documents have been received. If the payment is deferred, the negotiating bank may claim interest for making delay. As sale memo is made at B.C rate to the customer. As the T.T. & O.D. rate is paid to the ID, the difference between these two rates is known as Exchange Trading. Then an Inter Branch Exchange Trading Credit advice is sent to Inter ID. For arranging necessary fund for payment, a requisition is sent to the ID. A telex transmitted to the correspondent bank ensuring that payment is being made. A back to back letter of credit is a new credit. Is is different from the original credit based on which the bank undertakes the risk under the back to back credit. In this case, the bank’s main security is the original credit (selling credit) and the back to back credit (buying credit) are separate instruments independent of each other and no way legally connected, although both are part of the same business operation. The supplier ( beneficiary of the the back to back credit) ships goods to the importer or supplies goods to the exporter and presents documents to the bank as is the credit. It is intended that the exporter would substitute his own documents and ships the goods to the importer, if necessary, and present documents for negotiation under the original credit, his liability under the back to back credit would be adjusted out of these proceeds. The export L/C is marked lien and no margin is taken. L/C application & LCA from dully filled up & signed. b) Market price per unit. Business worth / ability of the applicant. Security i.e B/L & charge documents to be obtained . Interest on PAD/LTR/LIM @ 15% per annum. Fluctuation in exchange rate will be borne by importer. The importer and exporter have made a contract before a L/C is issued. Importer applies for a letter of credit from his banker known as the issuing bank. he may have to use his credit lines. If he is a new customer, margin deposit may be required : e.g. 20% deposit on credit amount. Issuing bank opens the L/C which is channeled through its overseas corresponding bank, known as advising bank. Meanwhile, he prepares his own documents and collect transport documents or other documents (e.g. insurance policy) from relevant parties. All these documents will be sent to his banker which is acting as the negotiating bank. Documents are sent to issuing bank (or reimbursement bank which is a bank nominated by the issuing bank to honour reimbursement from negotiation bank) for reimbursement or payment. Issuing bank honour it’s undertaking to pay the negotiating bank on condition comply with L/C terms and conditions. Issuing bank releases documents to importer when the letter makes payment to the former or against the letter’s trust receipt facility. The importer takes delivery of goods upon presentation of the transport documents. Export is one of the most important activities that can increase economic and social well being through transaction of goods and services from domestic economic agent to foreign economic agent for which domestic economic agents receives payments, preferably in valuable foreign currency. The import and export trade in our country is regulated by the Import & Export Control Act, 1950. There are some formalities, which an exporter has to fulfill before & after shipment of goods. There procedures are described in the following lines. No persons without registration granted by the chief controller of importers and exports shall anything into or out of Bangladesh except in case of exemption issued by the government. Under the export policy of Bangladesh the exporter has to get the valid Export Registration Certificate (ERC) from Chief Controller of Import and Export (CC&E). The ERC is required to renew every year. The ERC number is to be incorporated on EXP forms and other papers connected with exports. After making the deal and on having the L/C opened in his favor, the next step for the exporters is to set about the task of procuring or manufacturing the contracted merchandise. Now export submits all these documents along with a letter of Indemnity to NCCBL for negotiation. An officer scrutinize all these documents. If the documents are clean, NCCBL purchase the documents on the basis of banker customer relationship. This is known as Foreign Documentary Bill Purchase (FDBP). Important Documents Associates with Export. On board nation of in Bill of lading undated/unauthenticated. Cuttings/alternations in documents no authenticated. Documents not presented in timed/ state bill of lading. bill of lading does not evidence whether freight is paid of not. Internal factors that are prevailing inside the concern, which include strength and weakness. Most of the officers are not business gradguate and not highly qualified. Lack of energetic, dynamic, talent and smart work force. High interest rate of loan. The bank has no ATM service. The bank is not conscious about its social responsibilities. External factors are factors, which act as opportunities and threats. Existing Card services of standard Charterde Grindlays Bank, Dhaka Bank, National bank, Bank Asia etc. Customer’s Convenience : For customer’s convenience, NCCB should provide more personnel to deliver faster to their honorable customer. Human Development: Development of human resources should be ensured to increase efficiency in work. Interest: More interest should be paid on deposit account so that customers are convinced to deposit their money in bank. Computerization: To ensure error free fast task bank should be fully computerized. R & D : Research & Development wing must be more extensive & rich. Strategy : Effective strategies must be undertaken against defaulter. Project management : ‘Project Management’ must be practiced in case of investing in the project. Feasibility study of the project, project planning, Monitoring & evaluation should be undertaken. Financial Analysis : Branch should have a separate section to analyze the financial statement for fining its liquidity. Profitability & ownership ratios. Image: They should try to attract people for bank development. Improve ATM facility to every branch. To deliver quality service top management should try to mitigate the gap between customer’s expectation & employee’s perception. There are a number of nationalized and foreign banks operating their activities in Bangladesh. The NCCB is one of them. For the future planning and the successful operation for achieving its prime goal in this current competitive environment this report can be a guideline. Form the practical point of view I can declare boldly that I really have enjoyed my internship at NCCB from the first day. Moreover, internship program that is mandatory for my MBA program. Although short – dated obviously has helped my further thinking about my career. Banks always contribute towards the economic development of a country. NCCB compared with other banks are contributing more by investing most of their funds in fruitful projects leading to increase in production. It is obvious that right thinking of this bank including establishing a successful network over the country and increasing resources, Will be able to play a considerable role in the portfolio of development financing in the developing country like ours. 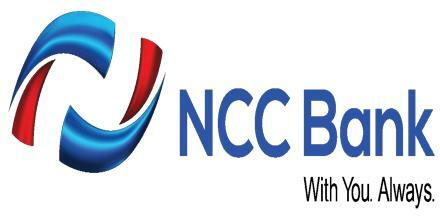 NCCB continues to play its’ leading role in socio – economic development of the country. Since inception NCCB has been rendering its’ banking services with the necks of the nation to cope with the demands of people in the country. By doing many other works of state & society, NCCB has emerged as the pioneer of playing key role in the country.